From April 1st 2019, Testo have revised the RLP on both the testo 320B and 320 flue gas analyser kits. 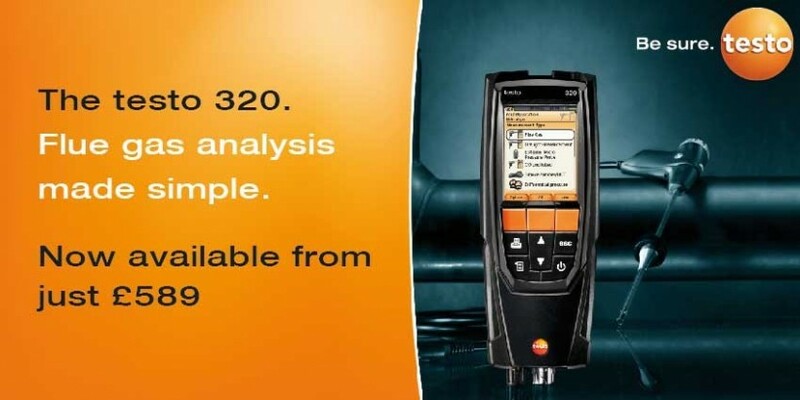 The testo 320 series offers users a full-colour operator display with simple to use menu structure for all the main test requirements of boiler service engineers. CO cell protection via automatic pump shutdown. Single robust connector for both gas pathway and flue temperature thermocouple. Covers main test requirements: Flue gas, tightness & Let by, CO ambient, diff. temperature, flue draught. Bluetooth connection to free app on 320 (not available on 320B. Fixed price servicing through testo and our approved service centres across the UK.